A coach may elect to hire up to 2 players to their professional team from any developmental team. One transfer is allowed during the mid-season break, or both can be utilized after the post-season (2 promotions are available during the mid-season break of every third season). The three forms of promotion are either a direct purchase, promotion/relegation or a trade agreement. After transfer your team must be at or below the the published TV cap. You may sell or buy any number of players to and from other Pro teams. 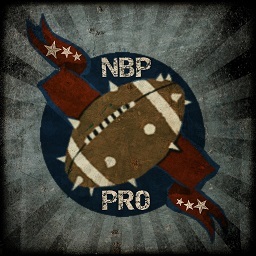 A Pro team is defined as a team that is playing in the current NBP-Pro League season and/or will play in following season (only available at Post-Season Transfer Market). Coaches may relegate a player from their pro team to a developmental team to make room for the transfer, but all Gold from this transaction must be zeroed. (Developmental to Pro call ups ONLY) If a player's full price for transfer cannot be afforded, a coach may elect to sell another player at the same position (lineman for lineman, blitzer for blitzer) for a skilled player and only pay the difference in skills; or sell a different positional to buy a player from a developmental team, taking into the consideration the balance for the difference in position (if any) as well as the difference in skills. (see examples) (e.g. 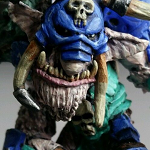 selling a skill-less Chaos Warrior for 100K and replacing him with one for 140K, net cost 40K GP; selling a skill-less beast man at 60K to replace with a single skill Chaos Warrior at 120K, net cost 60K GP). This is only available during the mid-season for a single player, only. A promotion/relegation trade sought by a Pro team from a different coach's development team is subject to the development team coach's acceptance. Any team going Pro in the following season is not able to participate in a promotion/relegation trade during the Post-Season Transfers. For the purposes of transparency and to avoid manipulation, developmental to developmental transfers are not allowed. (A developmental to developmental transfer is defined as a transfer between 2 teams in the developmental league or a transfer between a developmental team and a Pro team that will not continue). All trades will be conducted through an intermediate team to maintain consistency and transparency. All transfers are subject to approval by league management. Premiums will be added to any transfer that meets the following: ≤ 5 SPP to level +10K GP; ≤ 3 SPP to level +20K GP (Pro acquisitions only). Any coach that wishes to dispute a blocked transfer will be able to appeal to the NBP council made up of Stimee, CommieCOZY, and the coaches board (DaltMC, Chair, Ponghines, NFC representative, and DKx4xBAMA, AFC representative). All conflicts of interest will be addressed via recusal of the involved party and a replacement coach will be named.